You rocked that interview–you just know it. Now you get to just sit back and relax, right? Not if you want to increase your chances of landing the job. Before you move on with your job search, you should take some time to follow up with a thank you note so that recruiters know that you’re a serious candidate (with proper etiquette). However, it can be just as easy to blow your chances if you write a thank you note that is too informal, too vague, too long, too late, or too creepy. 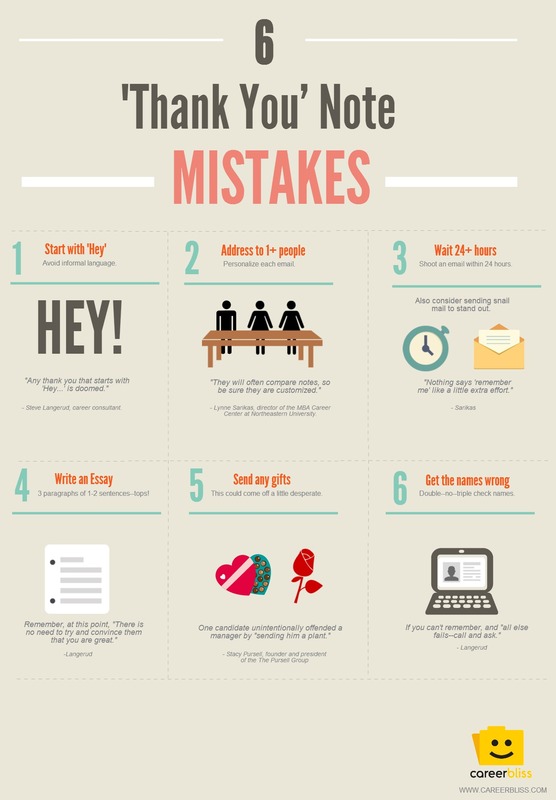 You’ll want to avoid these common mistakes so that your thank your note works for you, not against you.